TGI…Thursday. I have a friend who makes Thursdays her ‘official date night’ with her husband. Both people work long hours during the week (he travels pretty much the whole week, while she’s a product manager at a start-up during the day and manages a non-profit on the side). No matter how busy they’ve been all week, they will reserve Thursday nights for dinner and (usually) a movie. The perfect outfit? Nothing speaks more romance than a little lace. 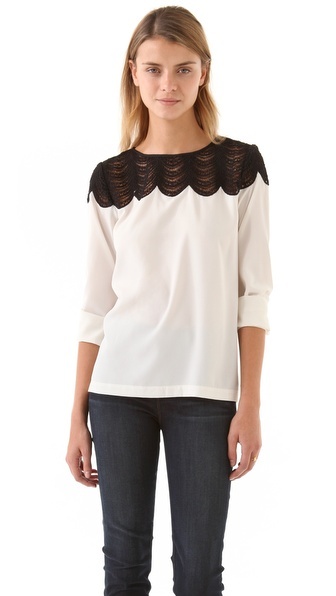 I’ve been loving what Club Monaco is offering this fall and right now, this diamond shirt speaks wonders. 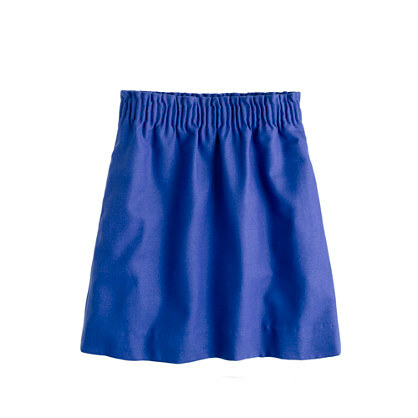 Pair it with a brighter full skirt (think blue or pink) and you’re golden for date night!